Series of articles regarding finding your way about new Windows 10. 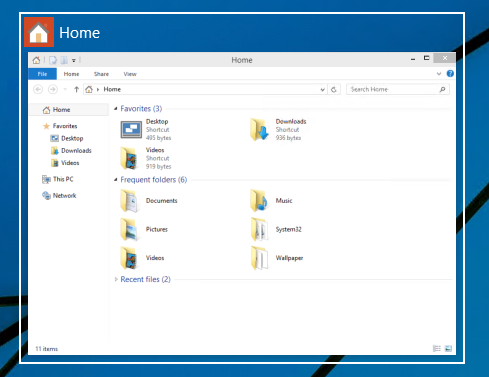 A nice feature that comes along with Windows 10, is the ability to handle multiple desktops. This may sound a little gimmicky but, it helps avoid clutter if you’re a single monitor user (or multiple monitors for that matter! ), and helps you organise your desktop to work more efficiently. * It can get a little confusing opening up a new desktop if you don’t have applications open already as the desktops currently all have the exact same background as each other, and no easily distinguishable marker to identify them. 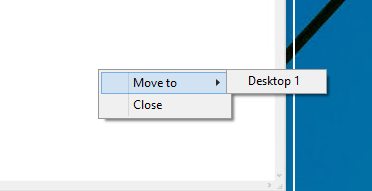 To move a window from one desktop to another, you first have to open up the Task View pane and then hover over the desktop containing the window you want to move. The windows on that desktop will pop up; find the window you want to move, right-click it, and go to Move to and choose the desktop you want to move the window to, from the presented list of open active desktops available. Luckily the open desktop bar a will show you where you’ve move the window to. Active windows such as browsers office applications etc, can all window “hop”. This really is quite easy, as to close a virtual desktop, simply open up the Task View pane and hover over the desktop you want to close until a small X appears in the upper right corner. Click the X to close the desktop. You can also close desktops without going into the Task View pane by using the keyboard shortcut Windows Key + Ctrl + F4 (this will close the desktop you’re currently on).